Lock in a great price for St James Hotel – rated 9.2 by recent guests! Historic feeling was fun. The Veranda brunch buffet with mimosa flight was amazing. The room was very comfortable and we enjoyed the spa tub. It was my girlfriend’s birthday and the staff accommodated my request for a bottle of Prosecco to help us celebrate the occasion. 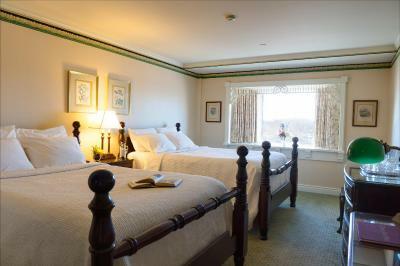 This is one of our favorite “getaway spots” and we will continue to return! Beautiful historic Hotel. Very friendly and helpful. This hotel has so much charm! 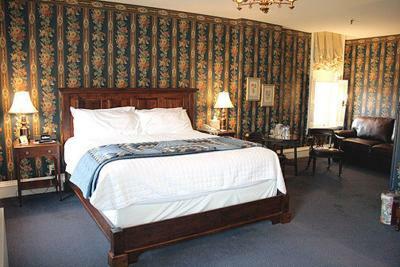 The sheets were super comfortable and the location was right in the heart of downtown red wing which was perfect for us as we wanted to explore the area! Loved the period decor and furnishings. The linens were wonderful. We enjoyed the river view. The architecture is beautiful! It is a very grand place. Room was bigger than we expected. The hotel has many spots to go sit—like the gorgeous library with fireplace. Dinner and service at Jimmy’s we’re outstanding! Jimmy's Pub on the top floor was an amazing restaurant for our dinner on Saturday night. It's safe to say we could not have been more comfortable, as we were able to sit on a couch in the restaurant and enjoy our meal. Along with this, the server that took care of us could not have been friendlier. St James Hotel This rating is a reflection of how the property compares to the industry standard when it comes to price, facilities and services available. It's based on a self-evaluation by the property. Use this rating to help choose your stay! One of our top picks in Red Wing – and a guest favorite. This luxury hotel is 1 miless from downtown Red Wing, which features shopping, dining and entertainment. The hotel has an on-site spa center. 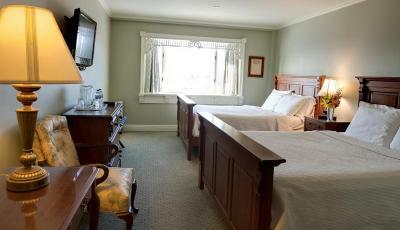 Guest rooms have luxury bedding, an iPod docking station and flat-screen TV at St. James Hotel. The rooms also have a work desk and some offer river views. The St. James has 3 on-site restaurants. 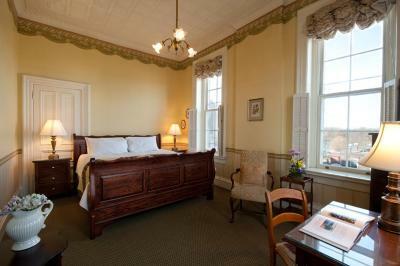 The historic hotel also has a 24-hour front desk. The Hotel St. James is 1 mile from the historic Shelton Theater. The Mississippi River is a 5-minute walk from the hotel. This property also has one of the top-rated locations in Red Wing! Guests are happier about it compared to other properties in the area. This property is also rated for the best value in Red Wing! Guests are getting more for their money when compared to other properties in this city. When would you like to stay at St James Hotel? 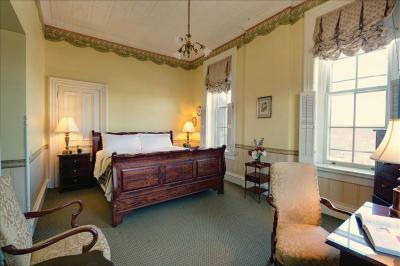 This Victorian-style room features a flat-screen TV and iPod docking station. 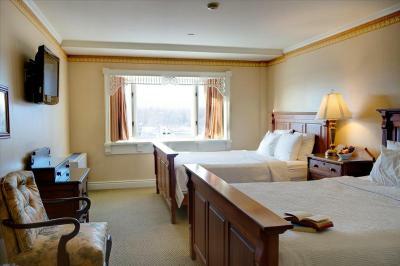 This Victorian-style room features a river view, flat-screen TV and iPod docking station. 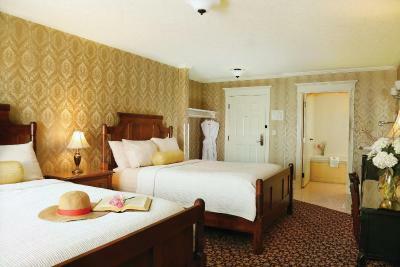 This Victorian-style room features a spa bathtub, flat-screen TV and iPod docking station. House Rules St James Hotel takes special requests – add in the next step! St James Hotel accepts these cards and reserves the right to temporarily hold an amount prior to arrival. It was beautiful and the history was great! The only thing I’d say is while filling up the jacuzzi tub it ran out of warm water before it was half full so I couldn’t take a bath. Which was the main reason I booked that suite in the first place. We stayed in the board room and it was gorgeous! The steak house resteraunt in the hotel was exceptional food and great service! Very cozy and romantic as well. I forgot a faux fur throw in the room- don't suppose there is any chance of checking for it and letting me know? We were in the Samuel Clemens room. The Port Restaurant was absolutely wonderful!! Nothing - this was a perfect stay! Breakfast buffet is excellent, staff friendly and knowledgeable. Whirlpool tub in our room was luxurious and relaxing! The bed was softer than we are used to and left us sore in the morning. Construction directly out our window. No mini fridge. A lot of loud noise/vibration/humming/coming from somewhere in the building. The frame of the bed is really dangerous (Room 308). You can easily broke your toe. The room heating unit was very noisy.